Looking to stand out in the crowd at your next Trade Show? Your booth should showcase your company, it’s products and your brand. 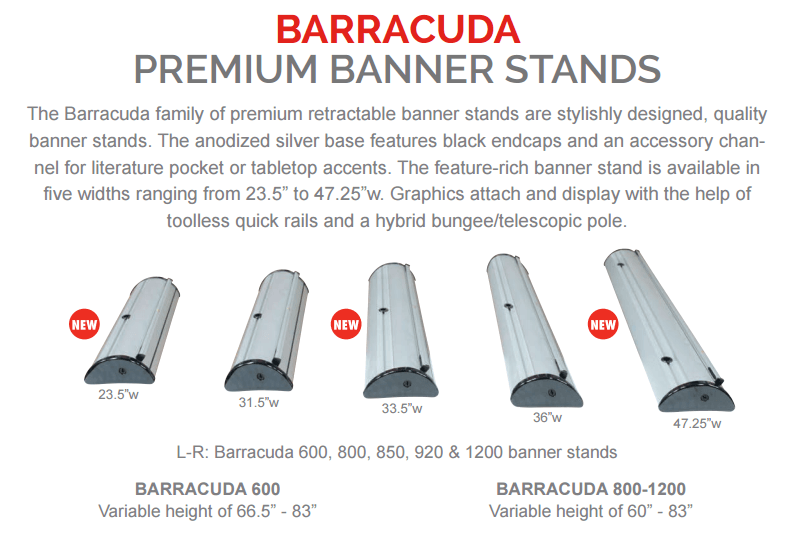 Using today’s portable banner stands, it’s easy to create a professional looking tradeshow display. 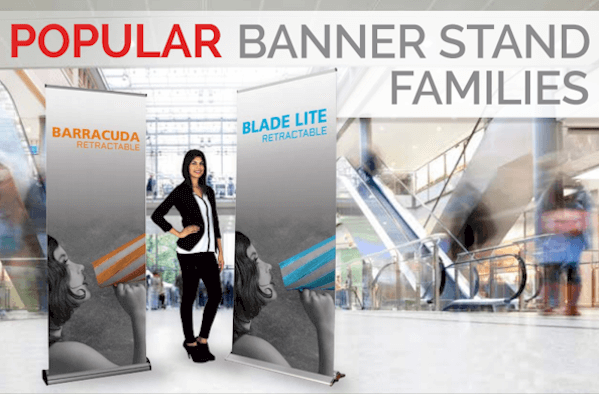 The Blade Lite and Barracuda banner stand families offer a range of sizes, starting at 17.75” wide and spanning to 61”wide, making it easy to find a stand that fits the need, space and budget! 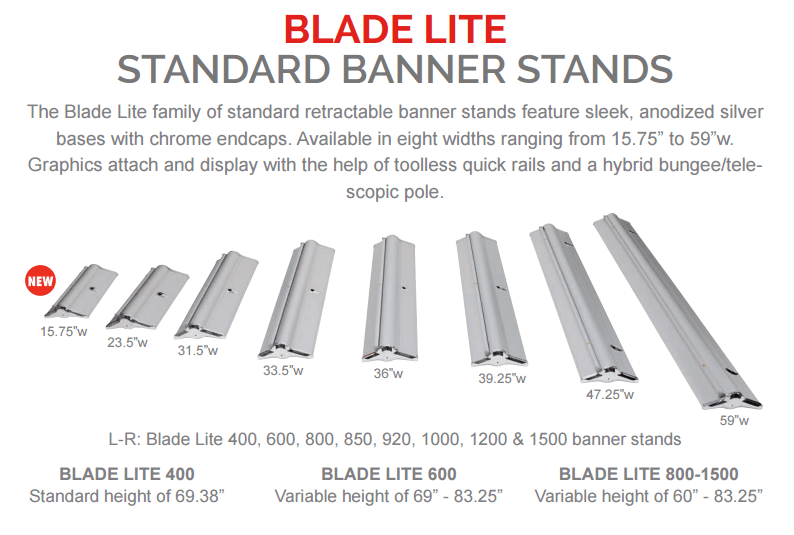 All Blade Lite and Barracuda banner stands come with a lifetime limited hardware warranty.